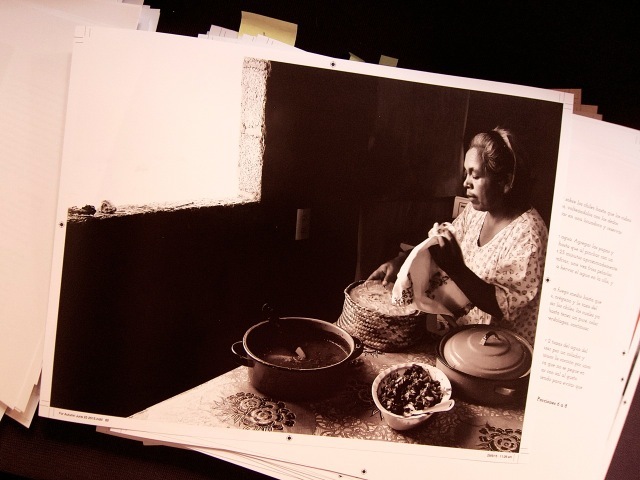 When I visited photographer Judith Cooper Haden in her Santa Fe home recently, she showed me the final proofs for Milpa: From Seed to Salsa, Ancient Ingredients for a Sustainable Future. 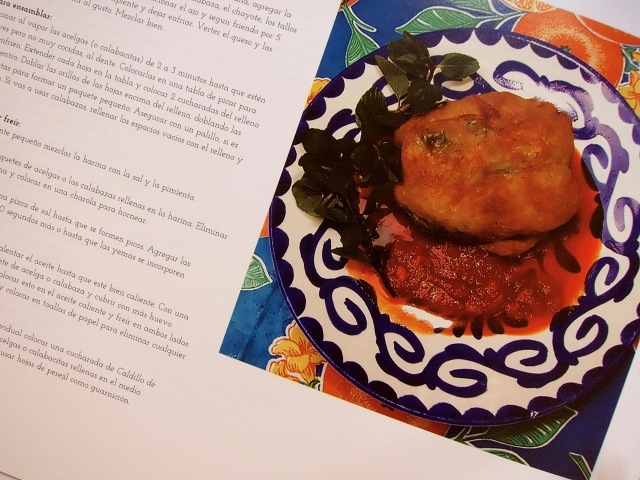 The book explores the Mesoamerican way of growing, cooking and eating food. The photography is stunning! 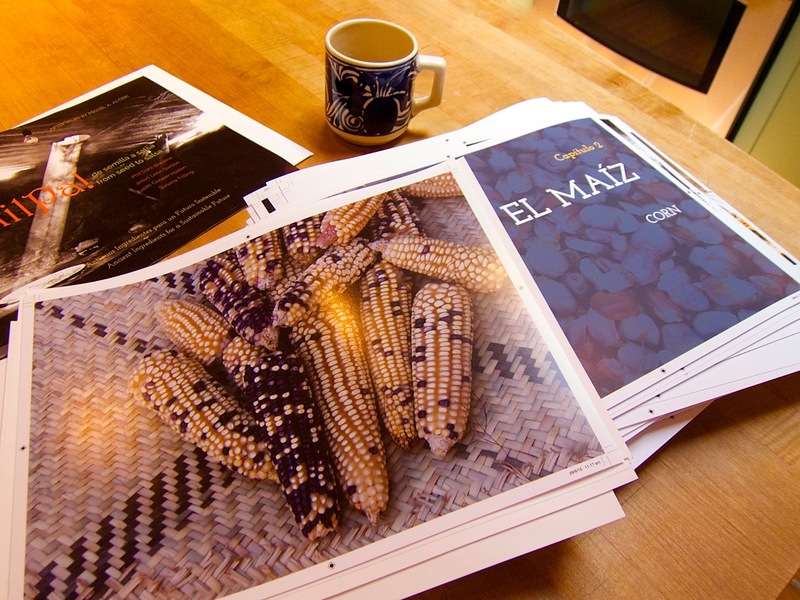 Four years in the making, the book is a collaborative visual narrative filled with pictures that touch your heart, delicious recipes you’ll want to cook, and cultural commentary to understand more about how Oaxaca’s original people grow their food and the risks associated with environmental devastation. The book will be ready for printing, distribution and purchase shortly. It is a combined effort by community development organizer Phil Dahl-Bredine, Jesus Leon Santos, Goldman Environmental Prize winner and director, Center for Integral Small Farmer Development in the Mixteca (CEDICAM), cultural photographer Judith Cooper Haden and chef/teacher/author Susana Trilling. You can pre-order this book today! 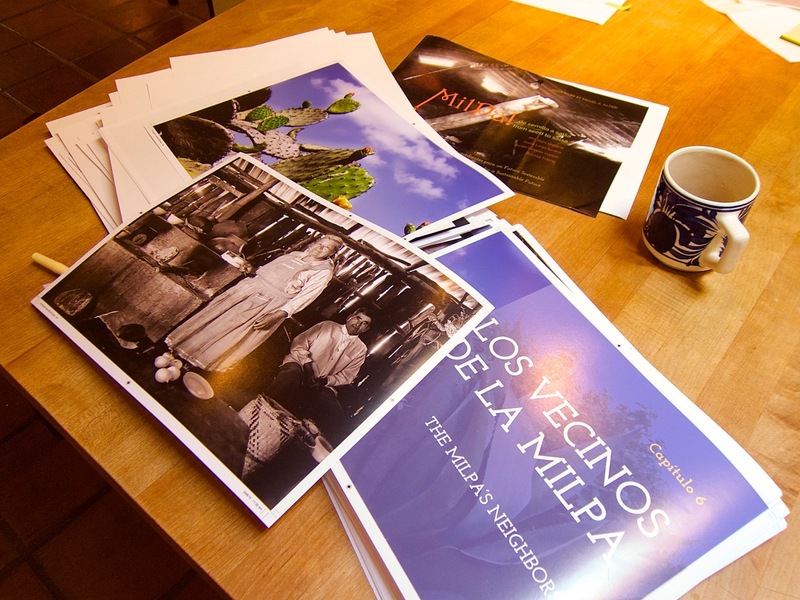 With 289 pages and 267 photographs and bilingual presentation, it explores food issues, presents mouth-watering recipes, and offers stunning documentary photography about how the ancient agricultural knowledge and the wealth of 1,000 year-old seeds and planting practices are being revived in the environmentally devastated Mixtec region of Oaxaca. Through example, the narrative can help us meet the ecological, health and food crises of today. This is a taste of what is to come. 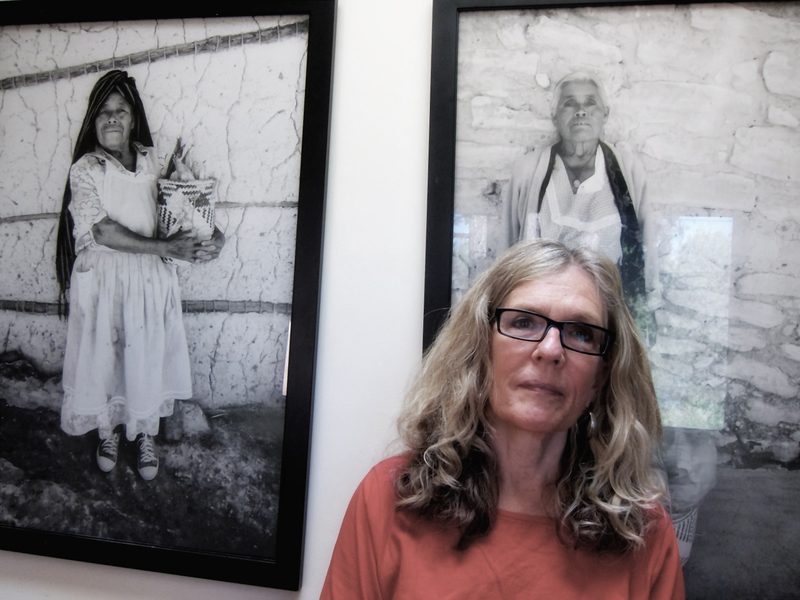 Judy Haden says, “I had no idea I was initiating a 4-year long odyssey when I asked Phil Dahl-Bredine, a 14-year resident in the Mixteca Alta, if I could somehow help him and the non-profit CEDICAM. This first discussion over hot chocolate on the Zócalo quickly became the seed of a ‘political cookbook’ that incorporates Phil’s thought-provoking essays on local food and international sustainability issues, heritage seeds and the ill effects of GMO’s, Susana Trilling’s tasty and carefully tested traditional recipes from our Mixtecan cooks/contributors, and my own images. 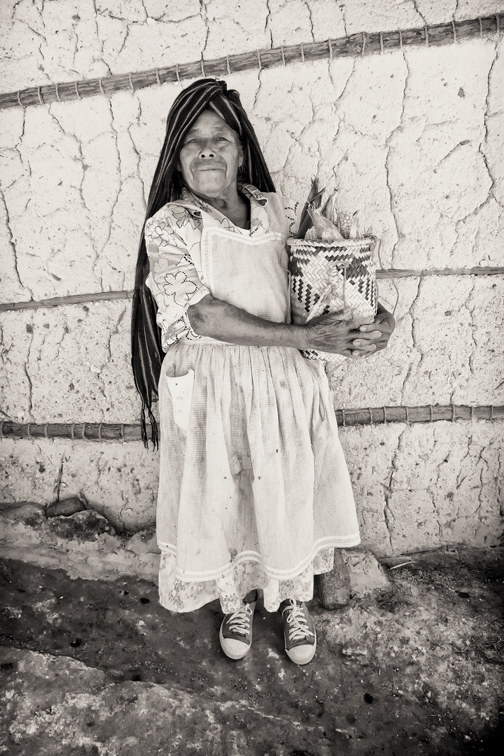 “The sepia portraits and the color food shots are, I think, so helpful in really understanding the conditions and the situation in the Mixteca Alta (a short hour north of Oaxaca City). Susana and I traveled to many small towns and villages over two years to interview the members of CEDICAM (http://www.cedicam-ac.org/) and spend hours with them learning and documenting their delicious recipes, and the planting of the crops. We visited feast days, religions holidays and private homes. Our plates were always full! The book has received heart-warming advance endorsements from many people, including Grammy award-winning singer/songwriter Lila Downs, vegetarian chef and author Deborah Madison, agro-economist Miguel Altieri, photographer Phil Borges, Chef Iliana de la Vega, seedsman Steven Scott/Terroir Seeds and food author Peter Rosset. This is very gratifying to the authors after working so long and hard on this project. 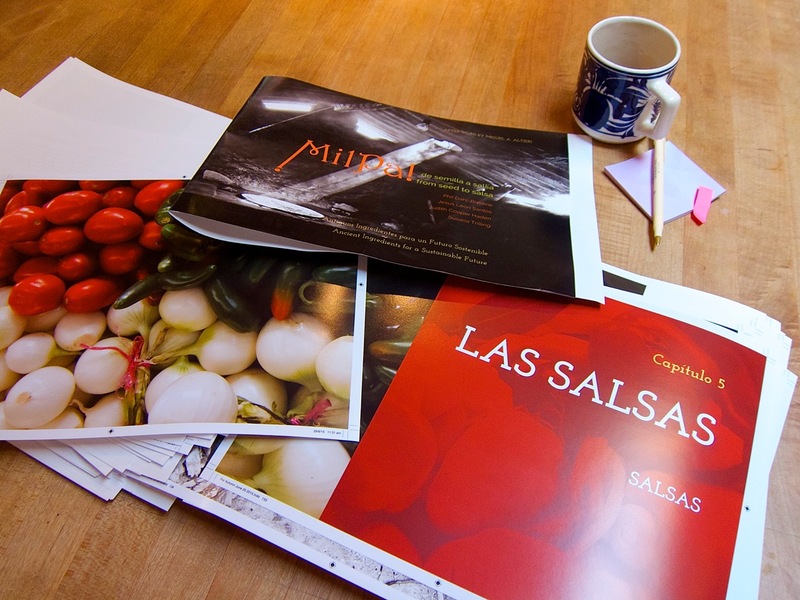 Milpa: From Seed to Salsa is an extraordinary book in many ways. It is a hopeful book that shows in careful detail how extremely well the old ways of farming and living in community can not only feed rural populations but also provide them with medicine and fodder for animals. This is a viable alternative to big agriculture and so-called improvements from elsewhere; this is a fine example. 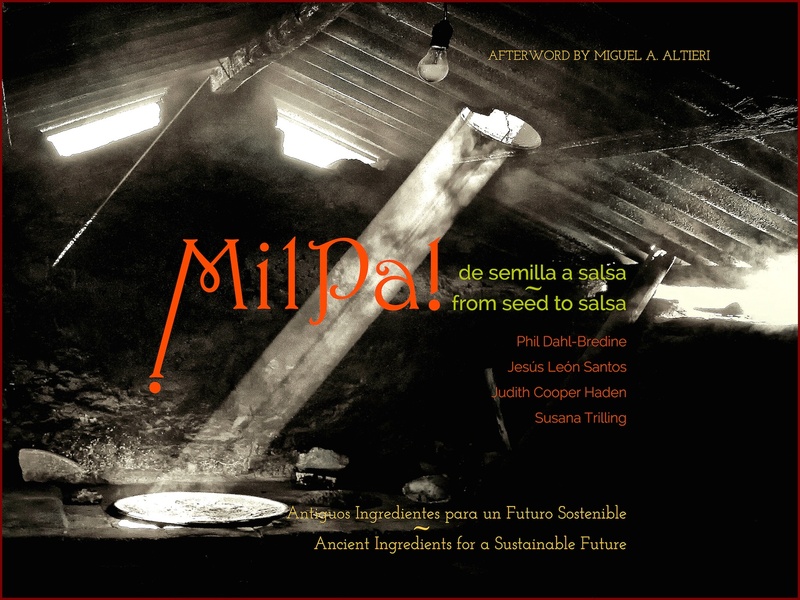 Milpa is also a remarkable book because, like the community of families that tends the milpa fields, this book is product of cooperation among some very extraordinary people—two activists, a chef, and a photographer, who all found a way to bring to light a story of hope with great wisdom and beauty, with the cooperation of the Mixtec community who live the life this book allows us to witness. I am so grateful for this book. It is a treasure. ~Deborah Madison, Chef, Writer, Teacher, James Beard Award winner. Quite fitting, I thought, since my last post was about cultural sustainability and big agribusiness. Zapotecs are quite good at poking sardonic fun at the disintegrating world around them as they continue to preserve culture through tight-knit communities organized and operated by self-governing, communitarian principles. A great example for thriving and staying true to personal values, which is why I love it here. This morning I was greeted by Federico and Dolores who had already been to the daily market. The kitchen table was laden with huge chunks of fresh papaya, a delightful nopal cactus/tomato, onion, pepper salad, chapulines, rice, fresh steamed green beans and mushrooms, queso fresco sautéed in olive oil with scallions, and tortillas. I made a cup of my favorite morning beverage, that I call Choco-Cafe (Oaxaca chocolate mixed with coffee and a little sugar). Now, it’s time to put the Oaxaca Photojournalism Workshop preparations aside (it begins this Friday evening), and take a walk in the campo (countryside) before we welcome Patricia this afternoon who will look at Federico’s extraordinary rugs he weaves with naturally dyed wool.